There have been many conflicting reports on calcium absorption and bio-availability. You may have heard the frightening statements claiming that the elderly with compromised digestion are only absorbing 2% of their calcium intake. Usually, the same marketers telling you about the low absorption of calcium carbonate are also offering the latest super calcium with “close to 100% absorption”. 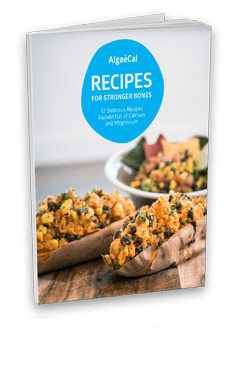 Read on and you will understand the science behind calcium absorption. In some cases, it is true that calcium is not absorbed by the body very effectively, but the key is to look at why this is happening. If you think about it, a nutrient as important as calcium to human health could not be poorly accepted by our bodies. You will see that in the end, humans are well designed, and calcium can be absorbed in adequate amounts even by the elderly if they are properly nourished. One major cause of low calcium absorption is the poor dissolution of some tablet forms. It has been found that some tablets are so closely bound with glues that they could take 4 – 6 hours to dissolve! Since most food passes through your stomach in 3 hours, people have actually had calcium tablets appearing in their stool. Capsules are a preferable delivery form to tablets for this reason. The contents of gelatin or vegetable capsules is a loose powder which has greater dissolution potential than a tightly bound tablet. Of course, this is not a calcium absorption problem, but a poorly manufactured pill causing the low bio-availability. So the first step is to take your calcium from a good quality delivery system, then you can address the other important steps necessary for absorption. Usually, the claims of a highly absorbed calcium, come from confusion between solubility and absorption. The first step in breaking down your calcium supplement so that it is usable or bio-available is to dissolve it in your stomach. It is not uncommon for calcium to be close to 100% soluble in either water or stomach acid. Here is where the confusion arises – solubility does not equal absorption. It is impossible for any calcium salt to be 100% absorbed through your intestinal wall and enter your bloodstream where it can be delivered to bone and other tissues for use. Contrary to popular marketing claims, all calcium salts are relatively similar in absorption or bioavailability. All calcium salts bio-availability range from 23 – 37% if taken by normal subjects with food.1 Taking out the few extreme study results which may even be in error, most calcium is within a few percentage points of 30% absorbed. 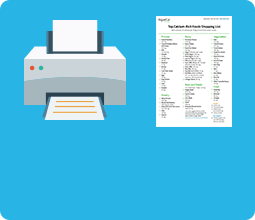 You have heard that calcium citrate, for example, has better absorption than calcium carbonate. Truth is if they are taken with meals they are almost identical. Top calcium expert, Professor Robert Heaney says “the solubility of a (calcium) source has very little influence on absorbability.3 Differences in solubility are of little importance, with calcium carbonate preparations, for example, being absorbed as well or better than some much more highly soluble salts. Gastric acid is not necessary for absorption of even poorly soluble preparations so long as they are taken with meals.4” The take-home lesson from Dr. Heaney is this – maximize the absorption of your calcium supplement by taking it with meals. That way your stomach has secreted adequate acid and this acid is present for long enough to ensure any form of calcium is dissolved and ready for proper absorption. Ok, so if all calcium salts have reasonable absorption when taken with a meal, should you just look for the cheapest calcium supplements? Absolutely not! In order for your body to utilize this bio-available calcium in your bloodstream and build strong bones, many co-factors need to be present. Many of these complementary nutrients are not generally consumed in adequate amounts in the average diet. Calcium becomes more or less bio-available to humans depending on our lack of this mineral, co-factors like vitamin D and magnesium, and other influences. Better bio-availability does not equal improved health! 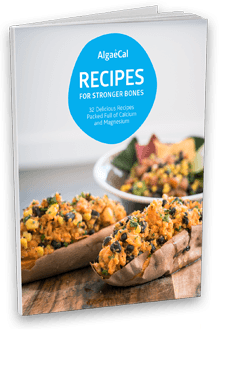 Even if a calcium was demonstrated to be extremely bio-available, it would not necessarily mean it produces better endpoints for humans such as increased BMD or decreased fracture risk compared to less bio-available forms. In fact, a large dose of calcium causes an imbalance of other important minerals. 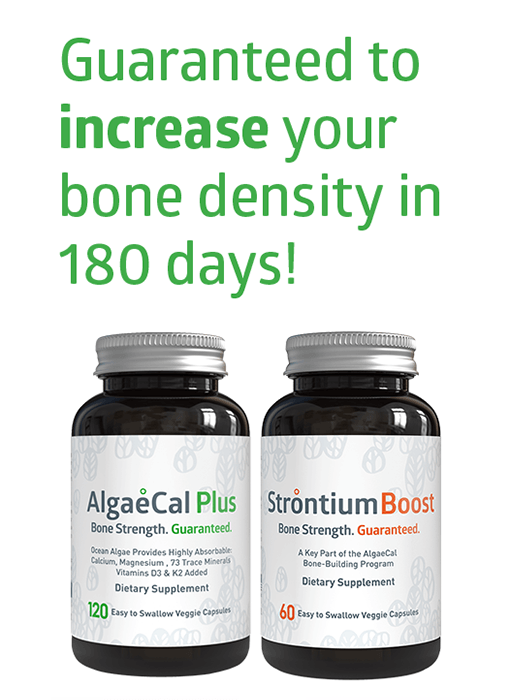 It is well established that high calcium forces magnesium depletion as one example. 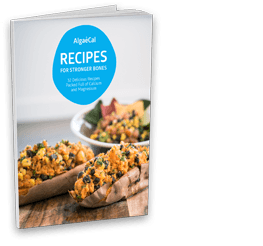 A balance of minerals is critical – and that is what AlgaeCal is naturally. Another problem with a super bio-available calcium, according to Heaney is the free calcium which had not been absorbed, prevents kidney stones and prostate cancer. 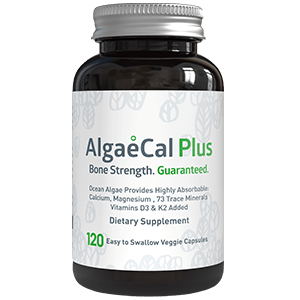 How Bio-Available is AlgaeCal Calcium? See the results from the AlgaeCal Calcium Absorption Test performed by C.E.V.A. 3. Absorbability of calcium sources: the limited role of solubility. Heaney RP, Calcif Tissue Int. 1990 May. 4. calcium supplements: Practical considerations. Heaney RP Osteoporosis International, Feb 1991.